Like many other species of animals, birds can get external parasites. 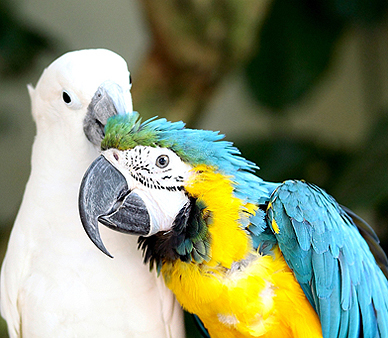 If you discover that your bird has mites, it needs to be treated quickly. Not only can it make your bird sick, but many mites can spread to humans. Scalex is a pyrethin based formula that kills feather mites and bird lice on cage and aviary birds. Proven effective ingredients are safe to spray directly on bird and aviary surfaces.